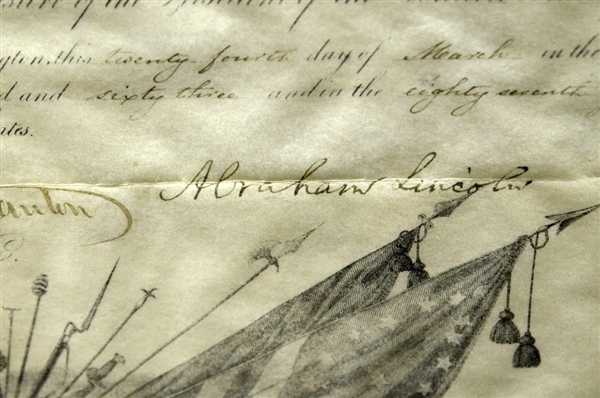 A long-missing certificate with Abraham Lincoln's signature was found recently at a college in Pennsylvania by the school president. The retiring president of Lycoming College was cleaning out his closet when he found the 150-year-old document. James Douthat was pulling out what he thought was an access panel to plumbing when he discovered a framed certificate, dated 1863, which named the college’s founder, a Civil War chaplain. A similar certificate also signed by Lincoln recently sold for $11,000, according to a noted autograph dealer. Have you ever made a surprise discovery of something valuable?